Facebook has announced a new area of the News Feed today called Trending. The Trending section of the feed will contain stories that are selected by algorithms that identify the top events, TV shows and news articles that are being talked about on the social network. It is, quite literally, Twitter’s trending feature built into Facebook. The articles will come from public Facebook pages, pages you’ve liked and also from posts by friends. The move seems like a natural addition by Facebook, as more people turn to the social network as a news source. 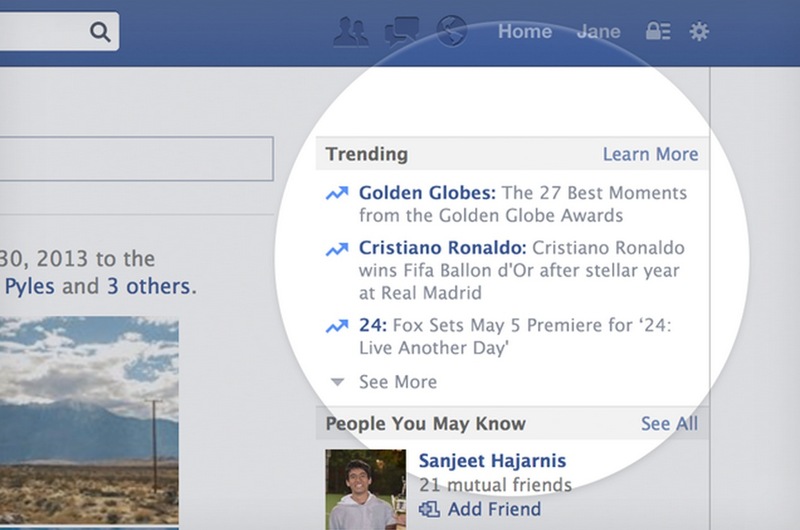 The new Trending feature will begin rolling out first in the US, UK, India and Australia.